You think only the skilled workers and other professionals in the Third World have a hard time finding a decent job in their home countries? Think again. The same problem confronts the working population in the so-called developed countries these days. Several thousands of highly skilled individuals in countries in North America and Europe – the supposed bastion of economic prosperity and stability – find themselves without a dependable source of income. If they are not unemployed, they are underemployed. Either way, the situation is unfortunate. Their chances of getting a job that fits their skills and qualifications are as bleak as the weather there right now. There’s a classic story of a holder of a doctoral degree in Astrophysics from one of the topnotch universities in the United States who, instead of working at the National Aeronautics and Space Administration (NASA) or of the company of Elon Musk called SpaceX or maybe of the space travel enterprise of Jeff Bezos known as Blue Origin, he is toiling in a little-known kindergarten school in an equally obscure suburb teaching basic arithmetic to wide-eyed toddlers. You must have heard also of veteran university professors who end up serving as customer service representatives of some start-up companies there. If you have followed the news on the unemployment index on the global scale, you will know that the arrow is going south. Meaning, job seekers have to brace for the worse as far as employment is concerned. But there is one place on earth where the government — instead of coping with the problem of unemployment — is even looking for, and inviting more workers, especially the skilled ones, from anywhere in the world to come to its shores. We are referring to the island-continent of Australia. If you are currently suffering from low self-esteem because of unemployment or underemployment, there’s a ready cure for that. And that cure is to come to Australia. Here you will find the job of your dreams if you have the right skills, qualifications, and experiences. 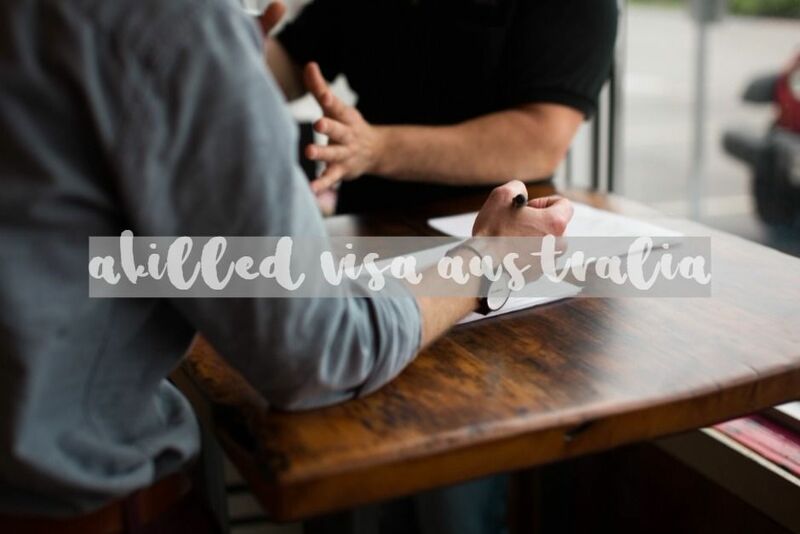 Let us say it again: If you have the skills, qualifications, and experiences, there is always an employer in Australia who is willing to sponsor you for a visa, more specifically a visa for skilled workers. If, however, you play hide and seek with a potential Australian employer such that you cannot find them or they cannot find you, don’t despair. State or territory governments can nominate you for a job in their areas of jurisdiction. That’s right: States or territories in Australia know very well the skills that are in short supply in their areas and they invite potential immigrants like you to come to their places and take on the job where no Australian citizen, permanent resident or New Zealand passport holder qualifies. Speaking of state or territory nomination en route to the granting of a skilled work visa, there are several types to choose from. But for purposes of discussion here, let us just focus on two popular subclasses, namely Skilled Nominated Visa Australia bearing subclass number 190 and Skilled Regional (Provisional) visa Australia subclass 489. Let’s discuss each one of them. Skilled Nominated Visa subclass 190 is one of the most coveted visas for skilled workers or professionals like you primarily because it allows you to live and work in the country as a permanent resident. Permanent residency has always been the goal of most applicants for an Australian visa. Apart from the privilege of staying in Australia indefinitely as well as working and studying here, you can also enroll in Australia’s version of a health care system called Medicare. Through Medicare, you can enjoy perks such as free medical checkups and free medicines if you have certain medical conditions. You can also sponsor qualified relatives to come here as a permanent resident and travel in and out of the country for five years. But here’s the part that gets you drooling: You can apply for Australian citizenship if you are eligible for it. How do you qualify for this visa? First of all, the occupation that you are going to undertake here should be on the list of what we call Medium and Long-term Strategic Skills List (MLTSSL) or the Short-term Skilled Occupation List (STSOL). Besides, you need to possess appropriate skills assessment for the nominated occupation. You also need to pass the points test with a score of at least 60 points, should not be more than 44 years of age and must meet the English proficiency requirement. Most importantly, you must have the nomination of a state or territory government here and receive the invitation from the government through the Department of Immigration and Border Protection (DIBP) to apply for this visa, which you need to do within 60 days. Being a provisional visa, subclass 489 does not offer you permanent residency in Australia. But don’t fret just yet. Temporary residency should be the least of your worries for now because you always have a shot at a permanent visa at the conclusion of your stint using this visa. Just make sure you abide by the terms of your employment as well as by the conditions of your visa. We choose to discuss it here because this is one of the subclasses availed of by those who wish to work in what we call regional Australia or those towns and cities all over the country with low population. This visa allows you and your family to reside in the country for a maximum of four years, work and study in a specified region in the country. While the visa is still valid, you can travel in and out of Australia as many times as you want. And here’s what you’re looking for: You have a shot at permanent residency through Skilled Regional (Residence) visa subclass 887. That’s what we’ve been telling you not to worry about subclass 489 being provisional because you can always obtain subclass 887 later if you’re qualified for it. It’s a bit time-consuming to discuss the manner through which you can obtain subclass 489 because there are three ways to do it. These are the invited way, the extended stay pathway and subsequent entry pathway. We encourage you to keep in touch with a migration consultant at Nowak Migration for details about these three pathways. Follow us on facebook if you like it here, so you’ll be first to know about updates on the page. If we discuss these two visa subclasses, we cannot avoid mentioning SkillSelect. You may wonder what it is. It’s an online service used by the Department of Home Affairs to streamline the normally convoluted process of visa application, thereby making it faster and more efficient. Before you could even lodge your visa application for subclass 190 and subclass 489 (the invited pathway), you need to go through this online facility. (Note: the extended stay pathway and subsequent entry pathway of subclass 489 no longer require it). At SkillSelect, you submit an expression of interest (or EOI) where you state the information about your nominated occupation, your relevant skills and qualifications, your preferred state or territory (if you wish to be sponsored by a state or territory government agency), and other related details. Through this service, employers in Australia, as well as state and territory government agencies, can view the details of your EOI. If they deem you fit to take on the occupation that needs your skills and experiences, they will nominate you for it. Once you get the nomination, you will be invited by the Commonwealth government, through the DoHA, to apply for the visa within 60 days. Don’t let your low self-esteem and self-pity develop into a full-blown depression for lack of a decent job. Get ready with your qualifications now and find a dependable migration agency to guide you in the visa application process. 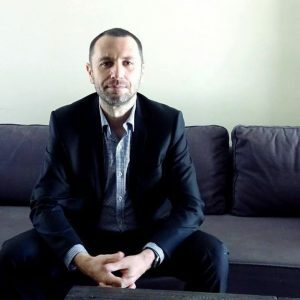 But be careful in choosing your migration agent because there are plenty of fly-by-night outfits out there that are claiming to be legitimate firms. Before you know it, they already run off with your hard-earned money. Most of the time you wouldn’t know what hits you. So be extra careful in this regard. To avoid being swindled, choose the legit companies like our very own Nowak Migration. How do you determine that we are genuine? Ask for our registration number. That’s the basic first step. And our Migration Agents Registration Number (MARN) is 1280062. But more than our registration number, give weight to what we can do for you in the area of obtaining skilled visas. Modesty aside, processing of skilled visas is one of our strengths. Because of the sheer number of applicants that we have helped, we already lost count of the happy and contented immigrants now enjoying their lives and jobs in the lucky land Down Under. Subclass 190 and subclass 489 are just some of the many skilled visas that you can apply for. There are still many on the list. You just have to choose what fits you in terms of your skills, qualifications, experiences, needs, and intentions in making Australia your next workplace and abode. The details of the many visa subclasses can be confusing to the uninitiated in the industry. We don’t even mention the fine points on the stack of documents, which many industry outsiders would immediately dismiss as insignificant. For this reason, we highly encourage you to talk to any of our veteran migration consultants so you’ll be properly informed and equipped. They’re always ready to sit down with you face to face to discuss your situation and go through your documents and other needed requirements to make sure every aspect of your application is sufficiently covered. Our hotline is (07) 3668 0658. We’re waiting for your call. Skilled Visa Australia subclass 190 is one of the most coveted visas for skilled workers or professionals like you primarily because it allows you to live and work in the country without being bonded to the employer who'd sponsor you for any work visas. You have unrestricted work rights and can work for whoever you want, even set up your own business. Happy to assist – please book a consultation.